This week we had the greatest pleasure of hosting some very special family members! 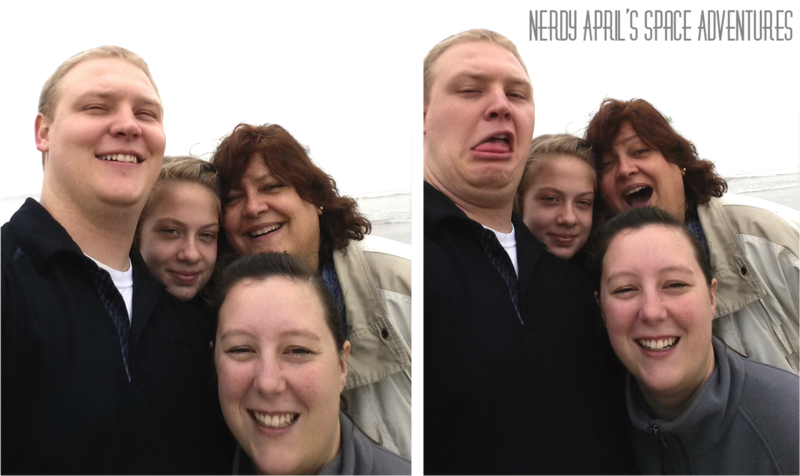 Chris's grandma and grandpa, aunt and cousin came to visit for their spring break!! Even though we still had to work it was super fun. Today we had fun visiting Mission Control and the beach in Galveston! We can't wait until the next time! 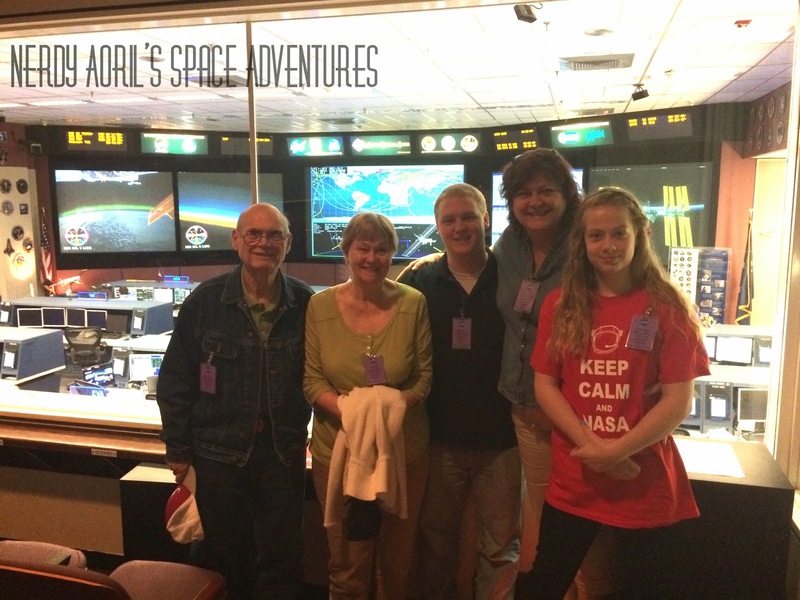 Grandpa, Grandma, Chris, Aunt T, and Cousin H in the Flight Control Room - 1 viewing room! 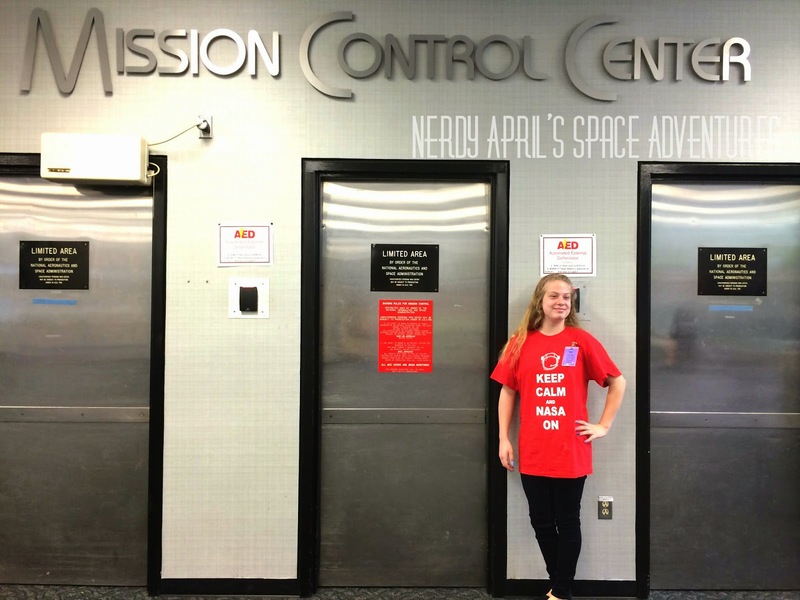 Cousin H by the famous Mission Control doors! 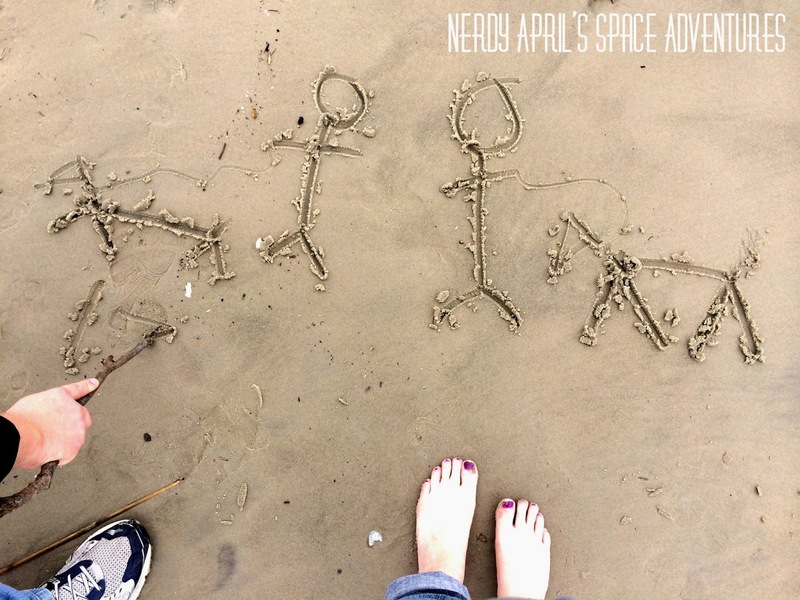 A sand doodle of our little family, Izzy, Me, Chris and Al. Note sure why Gus didn't make it! Beach selfie! Love these girls!